February 25, 2015 By Allyson 5 Comments This post may contain affiliate links. Read my disclosure policy. Over the last few weeks we have been doing a lot of juicing at my house. 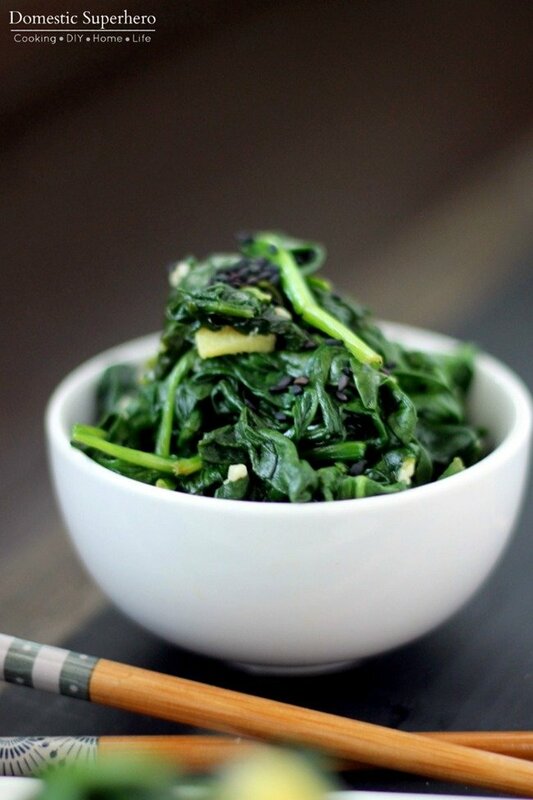 Most of our juices contain tons of spinach and ginger. While I love ginger, if you put too much ginger in the juicer it seriously ruins the juice. It’s crazy because I LOVE ginger, but if you put too much in the juice, it’s way too over powering…to the point it actually burns my throat. 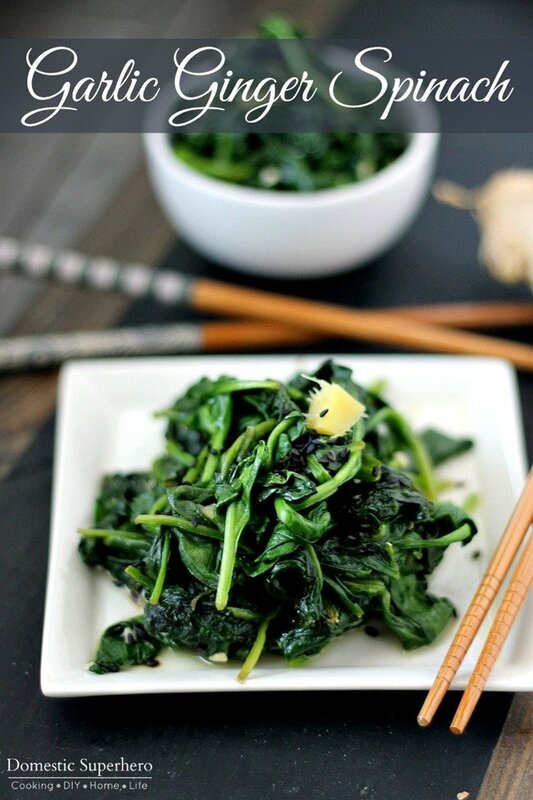 Anyway, so we have had our fridge stocked with healthy veggies and when I decided it was time to eat actual food, instead of just drink juice all day, I decided to make this delicious Garlic Ginger Spinach. 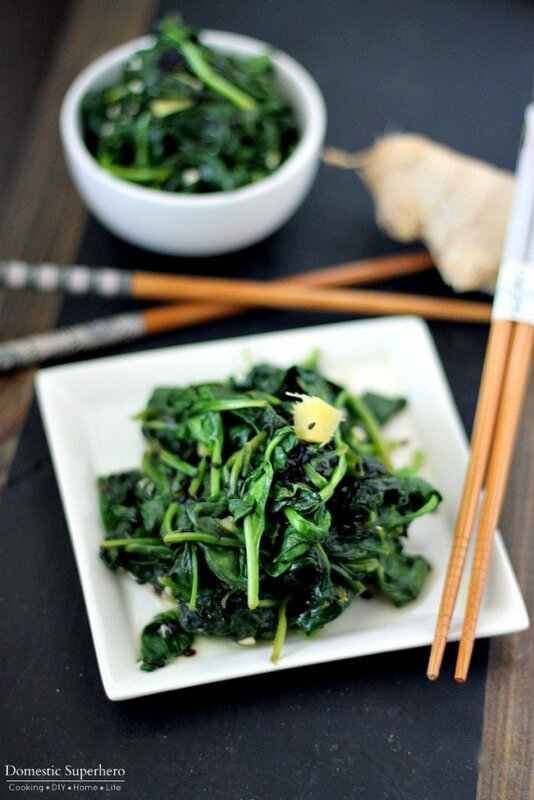 We had tons of extra spinach and ginger around the kitchen, and I didn’t want it to go bad. Total genius recipe. Not only was this dish easy peasy, but it was so delicious I almost ate it all at once…there are worse things, right? At least it’s not like eating a whole box of cookies at once. 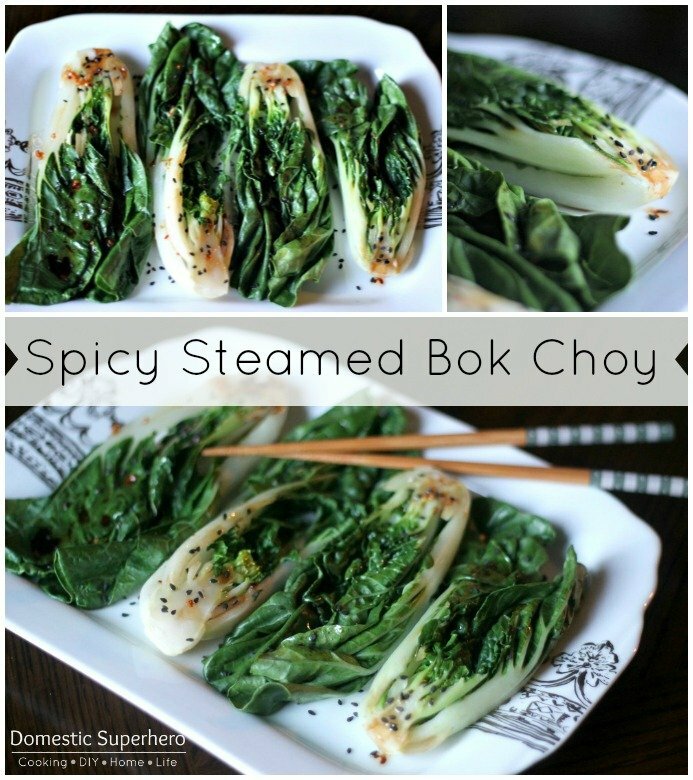 There are only a few ingredients needed to whip this up, and if you shop at a local Asian grocery store, this would be a super inexpensive side dish (or main dish in my case). 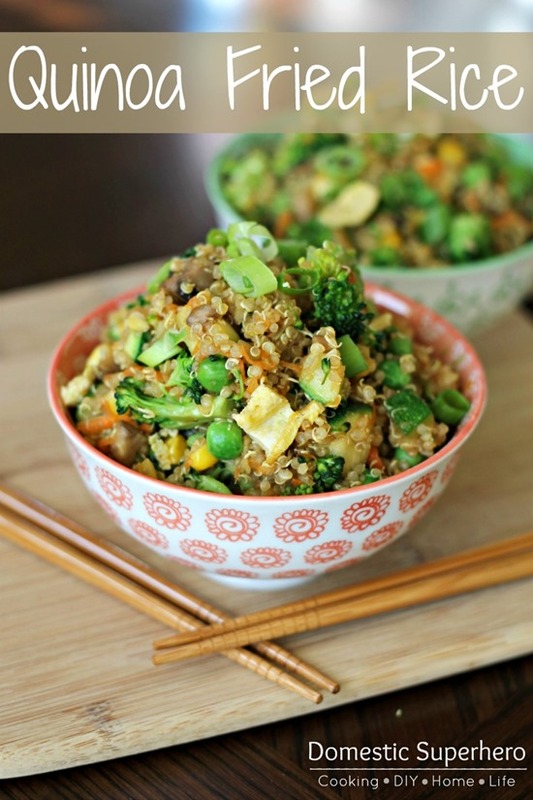 You can serve this along side some General Tso’s Tofu or some Easy Asian Noodles. 1. In a large non stick skillet heat sesame oil over medium heat. Add garlic and ginger and saute for 1 minute or until fragrant. Add spinach, sauteing frequenting. 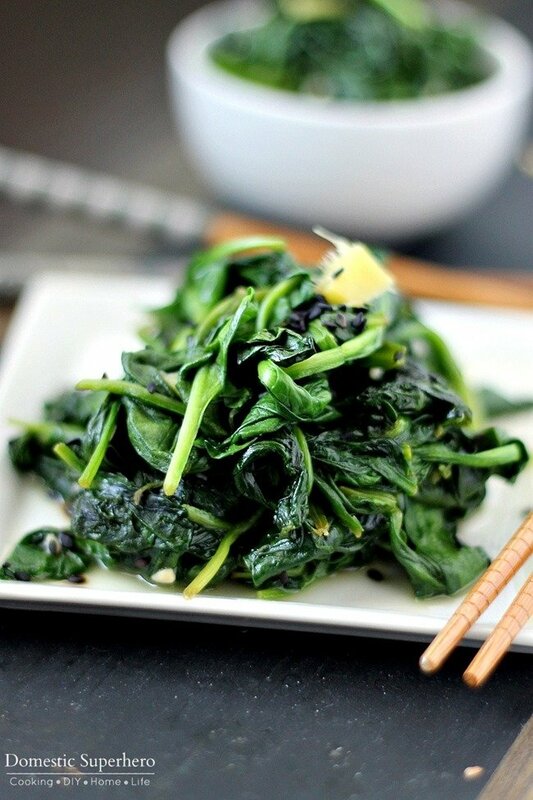 Once spinach is wilted, remove from heat and garnish with sesame seeds. Add a sprinkle of salt to the top and serve. 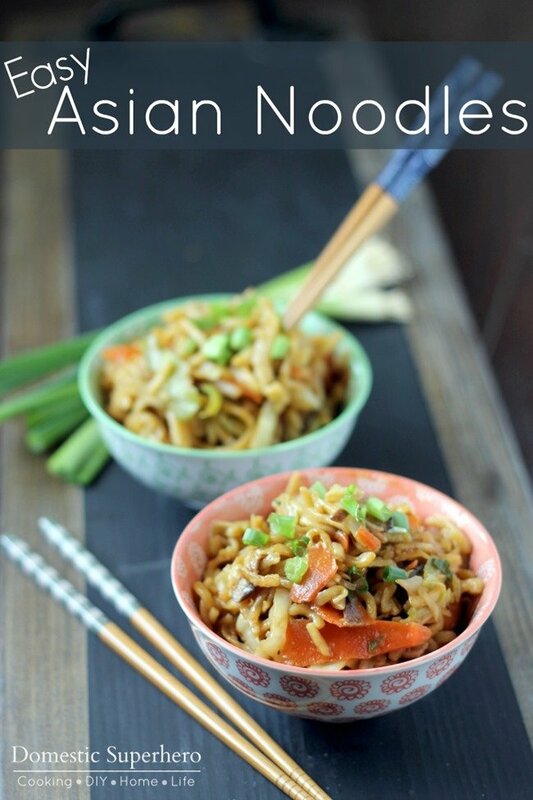 Like Asian inspired food? 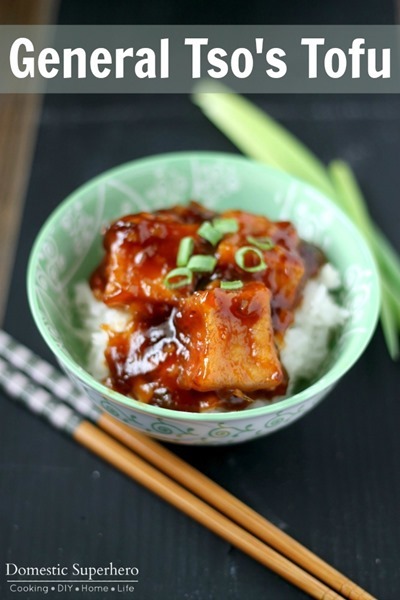 Check out these delicious recipes!